Planning or hosting a private event? Escaping the city never looked better. Perfect for your next getaway, Cuisine on Cue caters for functions and events in the Sunshine Coast Hinterlands. Set in the tranquil surrounds of mountains, valleys, or rainforests, your special day just got easier. 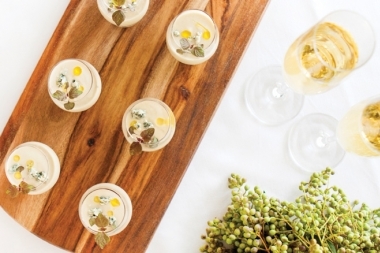 Cuisine on Cue can cater for your getaway wedding in the hinterlands. At Cuisine on Cue, it’s never ‘just another year’. Make this birthday special at your Sunshine Coast hinterland function with full-service catering. Feeling festive? Whether you’re planning this year’s family lunch or treating the office to a day in the hinterlands, Cuisine on Cue has you covered. Planning a corporate retreat, conference, or launch event? 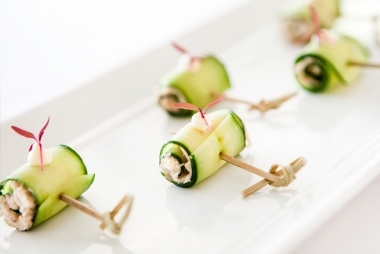 Treat the office to the impressive fare from Cuisine on Cue. 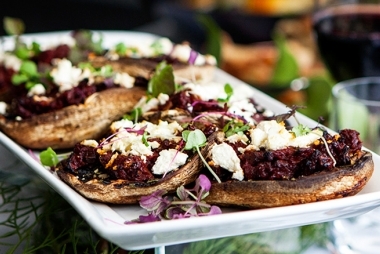 As one of Queensland’s favourite catering services, Cuisine on Cue is known for its strength in large-scale catering. Impress a room full of guests with our diverse and thoughtful menus. Celebrate your big news with friends family in the beautiful Sunshine Coast hinterland with our full catering service. 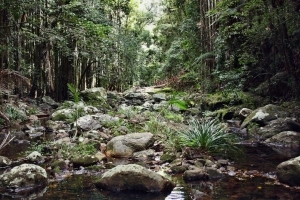 From the luscious Glass House mountains to the towering waterfalls of Maleny, the Sunshine Coast offers a piece of paradise just a short trip from Queensland’s capital. 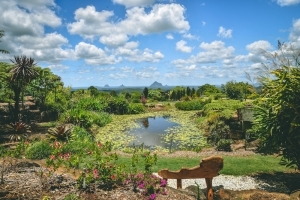 Known as the creative hub of the Sunshine Coast, Montville offers a collection of art galleries, antique shops, boutique fashion stores, and European-style architecture. 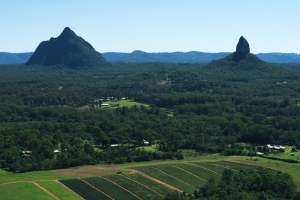 Mountain views and sprawling, green fields: Maleny offers a breathtaking backdrop to any occasion. Rainforests, lakes, and waterfalls are just a short walk away. These icons of the Sunshine Coast will transport you to another world: here, you’ll discover rolling green hills, mountain lookouts, and a stunning national park. Get started with our catering menus. Complete the form below to see more.